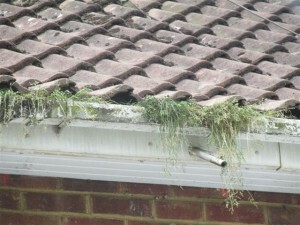 Whilst undertaking a HomeBuyers Report in Horley, we noticed a house with very poorly maintained gutters. 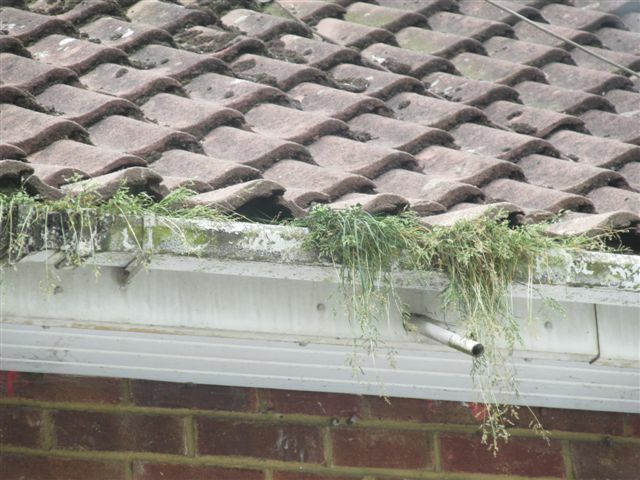 Blocked gutters are one of the main causes of water penetration to residential properties of all types and ages. If ignored and left unmaintained rainwater will spill over the edge of the gutter and cause damage and result in possible water penetration. Annual inspections and regular cleaning out is strongly recommended. The reason that this property in had blocked gutters was because of the expense of erecting scaffolding over the conservatory to gain access!